I am the queen of not doing something if I don’t think I can excel or finish well. This includes a broad spectrum of activities: high school calculus (yes, really), exercising, reading a good book, having friends over, work and business ventures, and activities with my husband and boys. 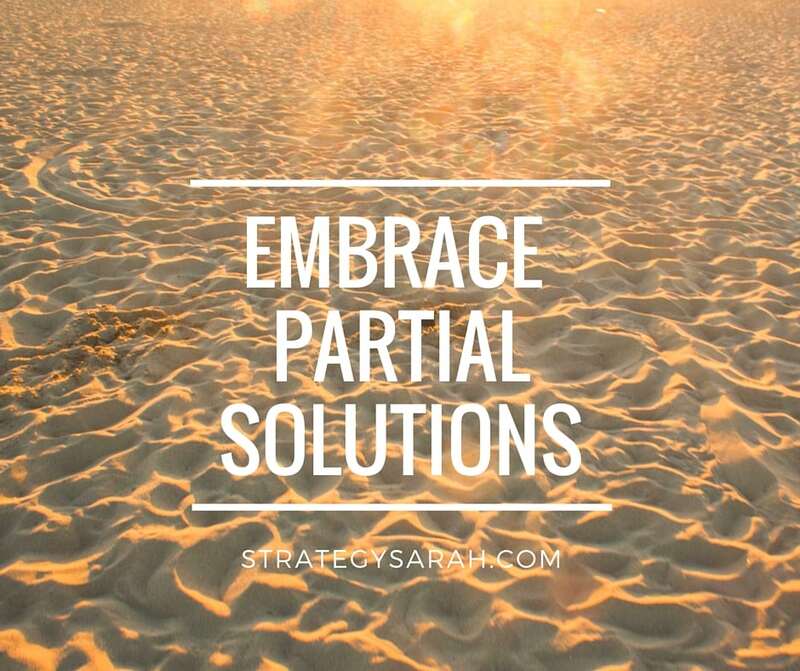 This simple, rather obvious concept – finding partial solutions when things aren’t exactly how you want them – has been revolutionary in my life, and it stops my excuses before they come out of my mouth. 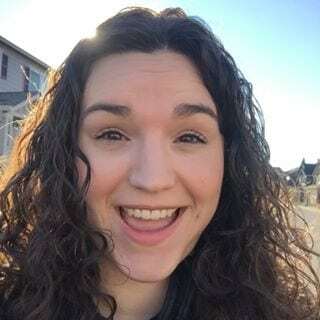 In Notes From a Blue Bike, Tsh shares her journey to living intentionally, slowing down and changing the everyday little things to better focus on our values and passions. This includes finding – and implementing – partial solutions. The chapter on partial solutions is actually a chapter on the importance of self-care, which is something I struggle with. As an extroverted introvert, like Tsh, I need space and alone time to not feel suffocated and overwhelmed. Prioritizing that alone time with a baby and a toddler is hard. But it is a critical priority. What do partial solutions look like at this stage? The thing that has made the biggest difference is reframing my expectations and taking advantage of moments as they arise. Thinking I am going to get some space and then not getting it – that is harder in many ways than not expecting that time. It’s one of the things that makes early mornings hard – if I count on that for quiet time, inevitably someone wakes up early – and cranky. It’s also unrealistic for me to expect weekly alone outings right now. If I do, I’m just setting myself up for disappointment. Right now, my goal is one alone outing and one kids-free girlfriend outing per month. I am still prioritizing getting up at 5:30am to have some time to myself, but I’m expecting that I’m likely to be interrupted. Then, if I’m not interrupted (like this morning! ), it’s a wonderful luxury. There are so many additional points in Notes From a Blue Bike, but embracing partial solutions is the first everyday little thing that is already making a big impact in our family. Is embracing partial solutions a new idea to you? If not, what are some practical ways you implement this?